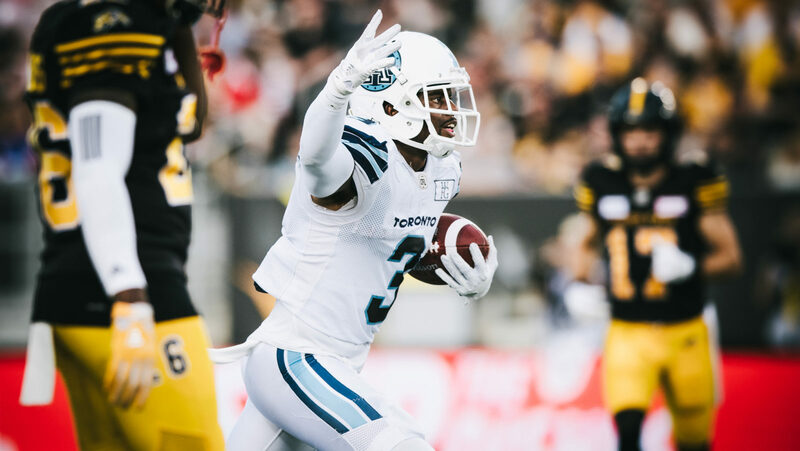 TORONTO — The Toronto Argonauts have extended the contracts of international defensive back Alden Darby and national fullback Simon Gingras-Gagnon through 2020, the club announced Friday. Darby, 26, is entering his third season in Toronto after being signed by the club in July of 2017. The 5-foot-11, 195-pound defensive back played in all 18 games in 2018, posting 63 tackles, one sack, a 100-yard scoop and score in the Labour Day Classic and two interceptions, one of which was returned for a touchdown. The Long Beach, Calif. native spent parts of 2014-2016 in the NFL with the San Diego Chargers, Pittsburgh Steelers and New Orleans Saints. The former Arizona State Sun Devil played 50 games over four seasons in the desert and tallied 217 tackles and 10 interceptions, two of which were returned for touchdowns. Darby was twice named All-Pac 12. Gingras-Gagnon, a fourth-round selection by the Argos in the 2018 CFL Draft, played in eight games during his rookie campaign. The 6-foot, 210-pound fullback played nine games over two seasons for the Laval Rouge et Or, winning back-to-back Dunsmore Cups and a Vanier Cup championship in 2016. The 24-year-old played his freshman season at McGill University before transferring to Laval.